A new study published in Neurology suggests that ursodeoxycholic acid (UDCA), a drug used to treat liver disease, could also be used to slow down the effects of Parkinson’s disease. After testing UDCA, researchers discovered that it had beneficial effects on fruit fly nerve cells with mutations in the LRRK2 gene—the most common inherited cause of Parkinson’s disease. The study demonstrated the beneficial effects of UDCA in the tissues of people who carry LRRK2 with Parkinson’s disease as well as the asymptomatic LRRK2 mutation. In both cases, UDCA improved mitochondrial function (which gives cells the energy they need in order to carry out their jobs) by increasing the oxygen consumption and cellular energy levels. When there is a deficiency in mitochondria—which can be caused by the LRRK2 gene mutation—it could lead to reduced energy levels and contribute to the development of different diseases that affect the nervous system, such as Parkinson’s disease. Researchers discovered that with fruit flies, the effects of the LRRK2 gene mutation could be tracked through losses of visual function. When fruit flies were fed UDCA, researchers found that the drug managed to preserve their visual responses. Dr. Oliver Bandmann, professor of movement disorders neurology at the University of Sheffield, believes that UDCA could be quickly brought forward to treat Parkinson’s disease if it proves beneficial in clinical trials. Since the drug is already approved to treat liver disease, it could save time and money when it comes to further research. 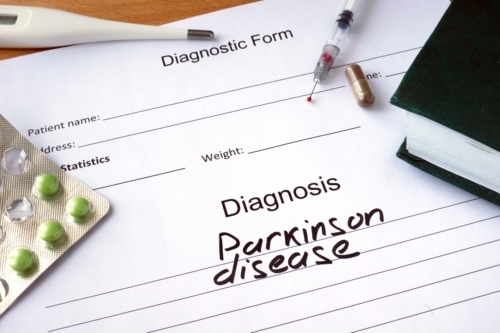 McIntosh, J., “Liver disease drug could slow Parkinson’s disease,” Medical News Today web site, August 10, 2015; http://www.medicalnewstoday.com/articles/297941.php.